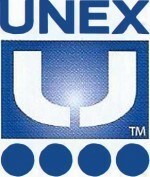 Deluxe Systems represents Unex, the leader & most innovative company in the Carton Flow rack industry today. productivity on the pick line, maximize space, and create a safer working environment for your people. 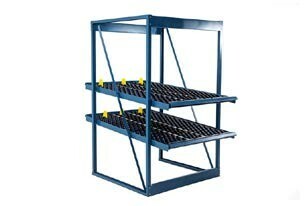 ultimate order picking environment for your operation. Create durable, flexible, modular and portable storage with Flow Cell. 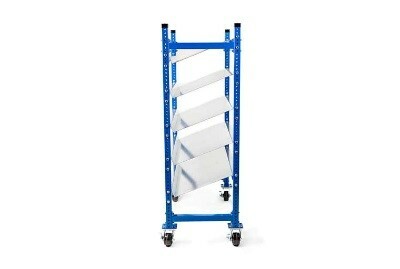 Never replace a plastic wheel rail again. 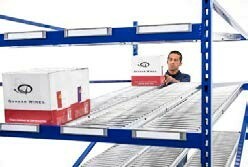 Unex ShelfTrack drop-in system will save your operation time, money and a whole lot of aggravation. easily into your existing racks and shelves. Unex pre-engineered gravity rack and track structures are ready to roll. Maximize pick efficiency – Available knuckle track positions improve access and visibility and reduce strain on workers. 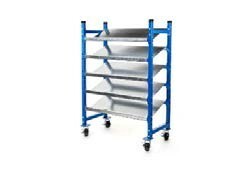 Increase pick rates and space – Roller Racks are proven to speed pick rates and free up significant space for additional SKUs. Ensure FIFO rotation – Inventory is replenished from the back without interrupting the pick line in front. Reduce travel time – SKU storage is up to 7 times denser per bay than pallet rack storage, which translates into up to 80% less travel time for pickers. 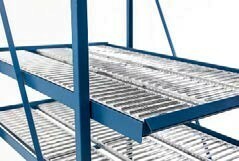 Reduce costs – Roller Rack structures require less steel than pallet racks, which saves your operation money and improves ROI. Plus, the quick-to-build, knock-down design reduces freight costs and damage. unique needs. 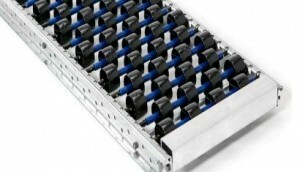 All of UNEX’s carton flow products are engineered to attach easily to Roller Rack units. 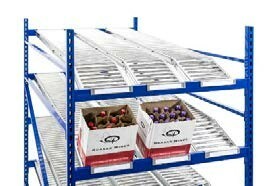 is required and there is no need to store pallets above the rack. Are the pick points at your operation clearly visible and accessible? Adjustable? Organized? Unex Pickologists can help you eliminate the dead zone. the highest value for your operation. Please contact us and we will have a sales person contact you to determine your needs.